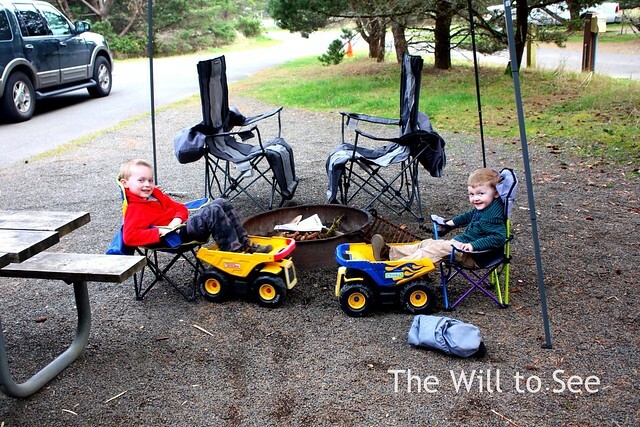 We have been camping this week in our new trailer on the Washington and Oregon coast. On our first evening the boys were sitting in their chairs and Jack decided they needed foot rests. He went and got their dump trucks all on his own.